Born in Beijing in the late 90’s, with China surging forward and outward, Leah Dou spent many of her formative years also on the move. Early childhood in Hong Kong, then at the age of 4, moving back to Beijing. At 15, Leah spent a year at school in Japan, then relocated to Los Angeles, USA. 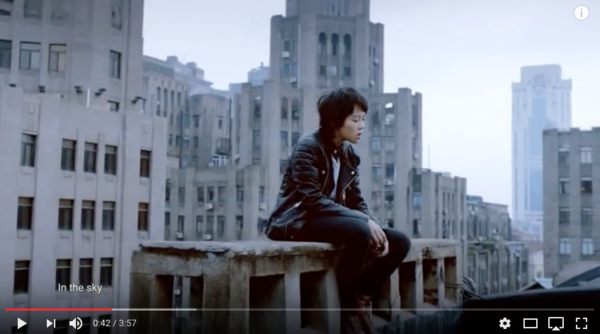 While Faye Wong was to become one of the most popular contemporary female singers in Asia, Leah’s father Dou Wei was forging his own reputation as a hip, alternative, uncompromising singer and songwriter. And then there is her father’s sister – Dou Ying, also a singer, who has possibly made the biggest musical influence in Leah’s life so far. Leah often accompanied her to the recording studio, and the two always played music wherever they went, listening to Frente, an album of Guns and Roses covers, a French artist called Coralie Clément. With music entrenched in her spirit, Leah was playing cover songs at school in Beijing, where she also was encouraged to enter traditional singing competitions. This led to her decision to take up a more intensive study of song-writing at Interlochen Centre for the Arts, North Michigan, USA. Casually playing her guitar at home, Leah began writing - her first song was called “With You”. She then uploaded more of her original music compositions online, including “Blue Flamingo”, which quickly captured the attention of press and an emerging fan base. Meeting other musicians, and constantly listening to and discovering music, Leah has now emerged as a confident singer, songwriter, lyricist, producer and musician in her own right, using guitar, bass, drums, keyboards and technology as the tools to enable her musical vision. 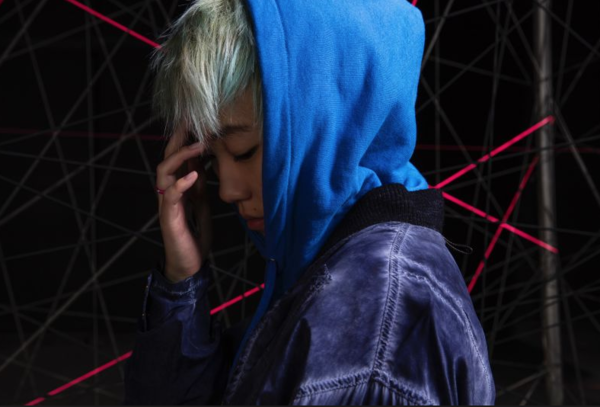 Her first music video (MV), ‘My Days’, was unofficially released on Youtube in the spring of 2014, and went on to attract more than 1.5 million hits in China via Youku; Leah made several more MVs, filming in London, Hong Kong, Japan, Beijing, with Beats sponsoring a VR video for “May Rain”. Her debut album “Stone Café” was released in April 2016, attracting a record 40 million streams on the QQ digital platform within the first 3 weeks. 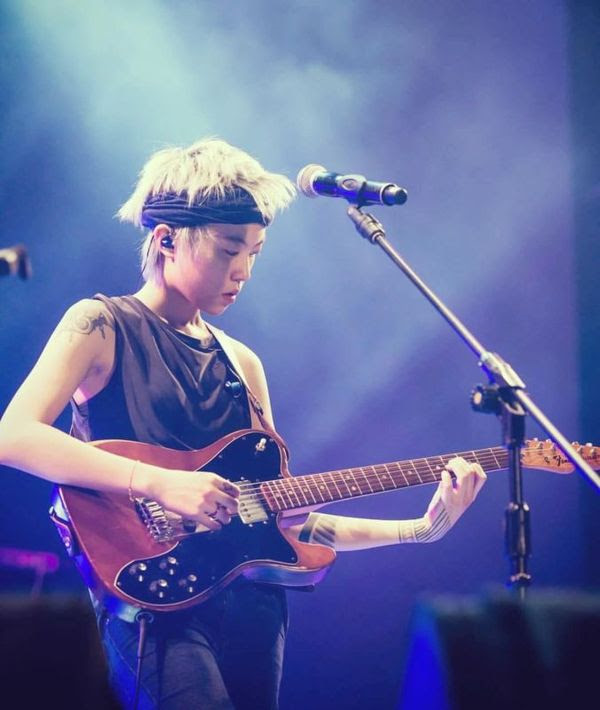 The album was widely acclaimed in the Greater China region, and news about Leah’s first live band performance on QQ digital platform recorded a record 400 million streams. “Stone Café” was subsequently released by Universal Music in Japan, August 2016, and a record deal with a major UK label is currently under negotiation. Leah and her live band have now played headline slots at the major music festivals in China, as well as the famous Clockenflapp festval in Hong Kong, and SummerSonic in Japan. Then in November 2106, after several successful small warm up gigs in UK, she was invited to join no 1 hit band Bastille for their arena shows in London (O2), Leeds, Nottingham and Manchester. Brother is more of my own portrayal of what a kite sounds and feels like to me, it feels like a brother, feels like a friend. It feels like a friend that is completely synchronized with you as you are flying the kite, it is your reflection but in the sky, it is something that is completely being controlled by you but seems to have so much life in it, you look at a kite and you envy the kite, you feel like the kite is almost giving you sympathy and empathy of the world that you are in, it reflects something that you always want, representing a simple symbol of something that I look for in life.